How would you like to reduce wage bills from hundreds of pounds per day to just the cost of a pint or two? OK; maybe the analogy of buying a pint is not the best to use with the cost of beer in some establishments but did you know you can hire qualified workers to work remotely from places such as the Philippines for less than a quid an hour? Some people swear by this method and others claim to have been severely bitten and say “keep clear” so just what is the truth? Having now lived in the Philippines for a few years and having spent several years prior to moving here working with many Filipinos in the Middle East I will give you my honest opinion. Filipinos are one of the hardest working people I have met and they are always eager to please and to learn. However at times their enthusiasm can cause problems as in their frenzy to please they will often do what they think you want rather than what you have actually asked them to do. This can lead to many disappointments as often their view of what you want can be very different to what you really need. It is therefore very important when working with Filipinos to ensure that you spell out exactly what you want and where the job ends. English is taught in every school in the Philippines from elementary and is considered the second language of the country. Most education beyond secondary school is heavily taught in English and as such most Filipinos can speak understandable English; at least those that have made it through the educational system. The only problem with the spoken English is that it is now a few generations removed from the original teachings with most of the teacher’s only experience being what they have learned in school from their previous teachers who also only learned the language in school. Filipinos therefore do not structure their English in the same way as we do, nor do they use the same common words that we would use in everyday language; that being said they are fully understandable and are able to understand us. What are Filipino remote workers good at? Most educated Filipinos are excellent organizers and very polite, they make great personal assistants and are very good telephone operators which is why the Philippines is now one of the biggest countries with regards to the outsourcing of call centers around the world. They are also very good at repetitive tasks so they are good for the manual building of links for websites through commenting, directories, social bookmarking and similar routes. Writing however is where I feel that most fall down. They can’t write the way that we do. They write the way that they talk, use the wrong structure and use words that we would never consider using. So if you are looking for writers from the Philippines you are going to have a tough search. I write online to make my living and I thought when I came here I would hire a few writers to help me out, after 2 years I am still searching for a reliable skilled writer to join me. Don’t get me wrong, they can write in an understandable fashion but if you need sales copy or content for a professional website it will not be up to the standard required. They are however great for leaving comments and writing short articles for SEO purposes where the need for perfect English is not quite as important. The spelling is OK, the grammar is ok (notice the difference in capitalization) but the way it reads is clearly written by a Filipino and not a native speaker. I use local writers for transcribing audio and video very successfully and for providing me with outlines for writing when I am lacking inspiration. I can have them write a thousand words for a quid or two and then rewrite it into my English in a few minutes saving me having to research and think! Finding a good Filipino online worker. Places like Odesk are full of freelancers and “agencies” that can provide your services, however most are not as skilled as they claim and are just looking for any way they can find to help them out of the extreme poverty that is rife throughout the Philippines. There are good workers there but you will have to interview many to find the good one. Many of the agencies are just middle men that do nothing but pass you work to another freelancer without any thought. If you want a reasonable service find an agency that has their own website (not a free website!) and can provide good references; these may be more expensive (but still a fraction of UK prices) but they will have gone through the selection process for you to weed out the non-performers. 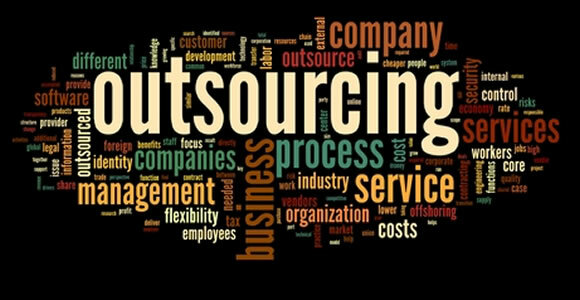 Hiring Filipinos for many outsourced tasks is a great way to reduce costs but be prepared to interview many to get what you need. They are hard working and enthusiastic so you will get a lot for your money but always make sure that your instructions are clear and expect the odd misunderstanding. With training and a little time you can get whatever you want from the Philippines.